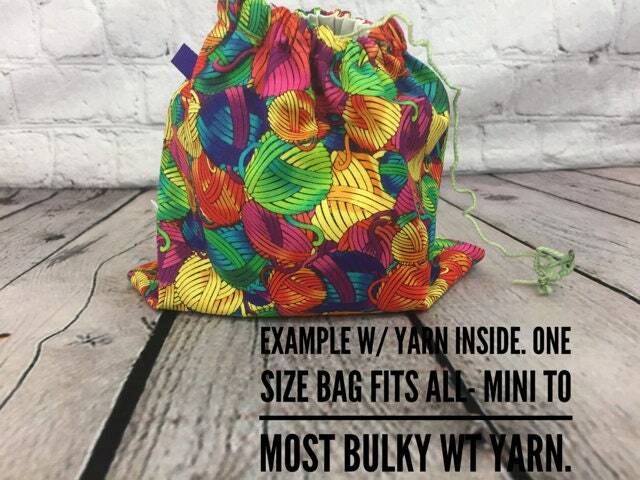 This bag fits all sizes of yarn from mini to most bulky. 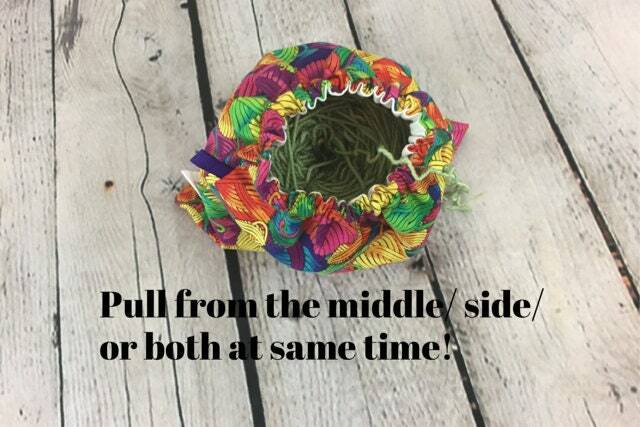 This bag fits all your needs whether you pull your yarn from the side, the middle, or both at the same time. 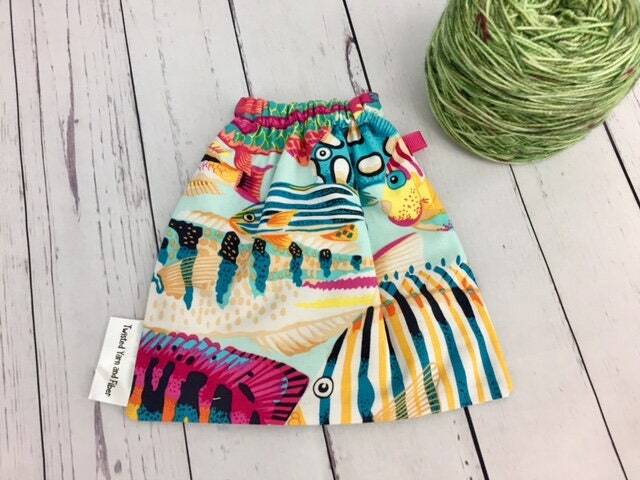 --Elastic top which allows for easy pulling out of your yarn from any direction. --Inside fabric is a polished cotton or depending on bag a cotton/ nylon blend which allows for easy gliding of your yarn inside of bag. --Will fit Balls of yarn up to 6.5" in diameter, but you can always squish it a little more to get a bigger yarn cake inside. --Small hoop to attach to a ring, handle, etc. if needed. (I just leave mine sitting in my bag or on a table and pull from it. This is not a walk and knit and crochet type of bag (if you are capable of that-I'm not!). But this will keep your yarn ball from rolling away, keep it contained and protected, and also protect it from any dust, debris, or animal hair that may be flying around. Follow me on Instagram @twistedyarnandfiberbags for updates. Share your love with #twistedyarnandfiberbags.